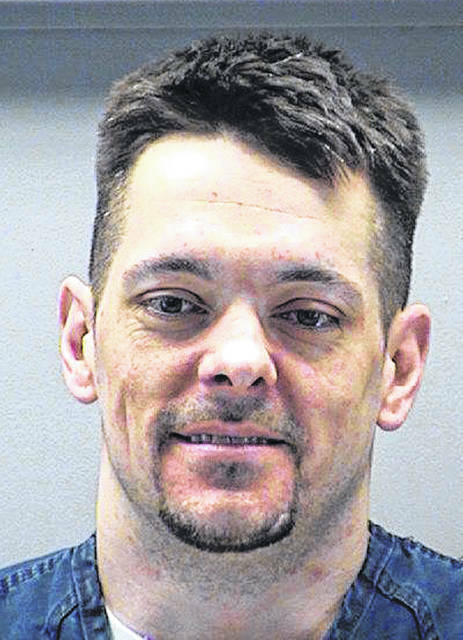 Anna Bolton | Greene County News Sheriff Gene Fischer said inmate David Suarez pulled up the fencing around the outdoor recreation area, crawled underneath and ran down the fire escape. Fischer said Suarez used the fire escape, then stole a bicycle. Suarez’s shirt hangs from the fence where he escaped. The clothing article to the left appears to be a pair of pants. XENIA — An inmate who escaped from the Greene County Jail this morning around 9 a.m. has been captured. 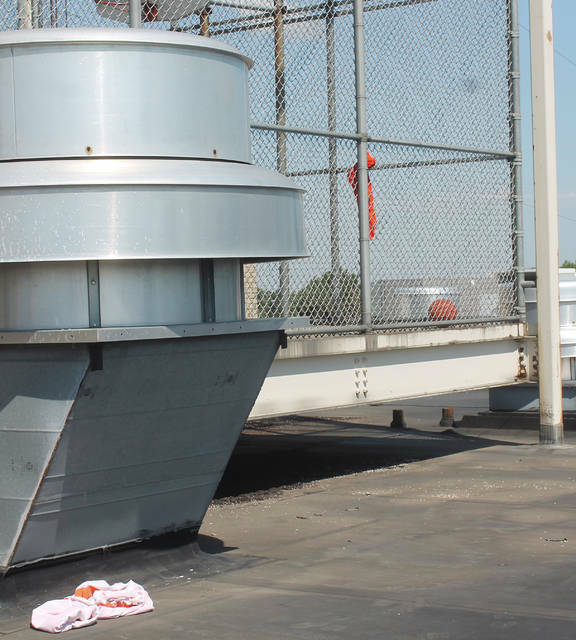 David Suarez, 33, was in the outdoor recreation area on the roof of the jail when he pulled up the bottom of the fence, broke its heavy-duty straps, crawled under the fencing and ran down the fire escape, according to Greene County Sheriff Gene Fischer. Suarez allegedly took off running south of the building, found a bike, and rode north on the bike path. He was spotted close to McDonalds. Sheriff’s deputies, Ohio State Highway Patrol, Xenia Police Department and Greene County Parks & Trails rangers searched for the man and captured him a little after 10 a.m. Jail records say Suarez is charged with 17 drugs charges, mostly possession of drugs or trafficking in drugs. He’s also charged with obstructing official business, two counts of tampering with evidence and two counts of engaging in a pattern of corrupt activity. All but one are felonies. Court records show Suarez pleaded guilty to felonious assault in 2007 and was sentenced to two years in prison, although the defendant motioned for early release. Fischer said additional charges may be filed because of the escape. Suarez was being held on a $200,000 bond, which is now a $600,000 bond. 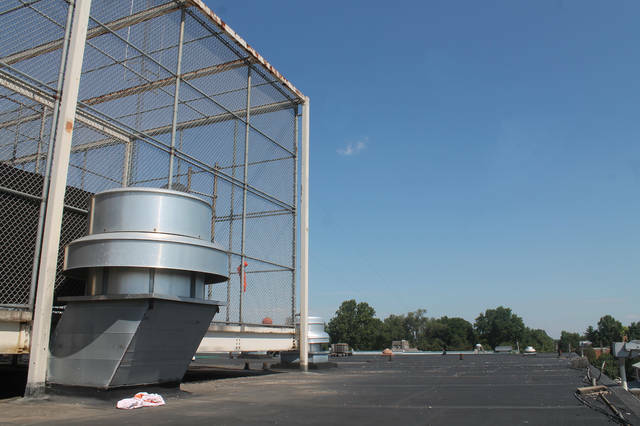 https://www.fairborndailyherald.com/wp-content/uploads/sites/50/2018/07/web1_OutdoorArea.jpgAnna Bolton | Greene County News Sheriff Gene Fischer said inmate David Suarez pulled up the fencing around the outdoor recreation area, crawled underneath and ran down the fire escape. 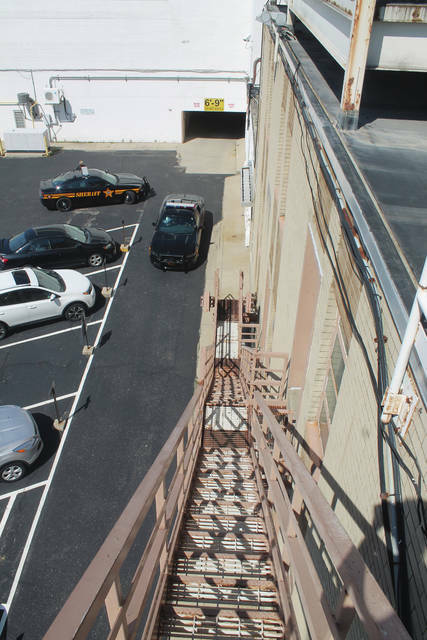 https://www.fairborndailyherald.com/wp-content/uploads/sites/50/2018/07/web1_Sheriff.jpgFischer said Suarez used the fire escape, then stole a bicycle. 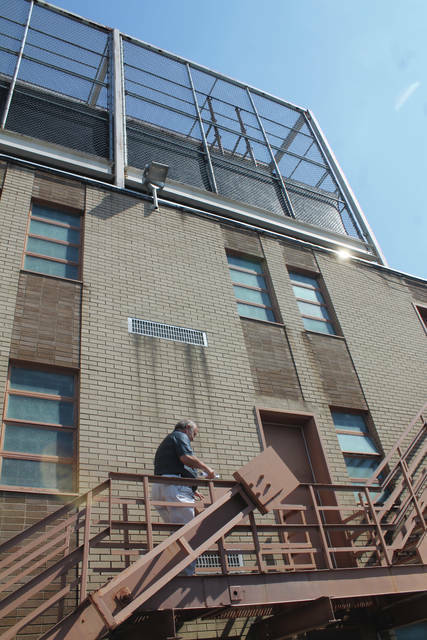 https://www.fairborndailyherald.com/wp-content/uploads/sites/50/2018/07/web1_FireEscape.jpgFischer said Suarez used the fire escape, then stole a bicycle. https://www.fairborndailyherald.com/wp-content/uploads/sites/50/2018/07/web1_CloseUp.jpgSuarez’s shirt hangs from the fence where he escaped. The clothing article to the left appears to be a pair of pants.